One of my fondest childhood memories was when I would go to my dad’s house for the weekend. Seeing that he hardly had time to really clean up around the house, I took it upon myself to help out. I really enjoyed showing him a cleaner house after I was done. In those days, the thought of a natural, chemical-free cleaning solution was pretty much unheard of. But fast-forward to the 21st Century, we now live in a society where it’s almost a given to have healthier and more sustainable household cleaning products around. 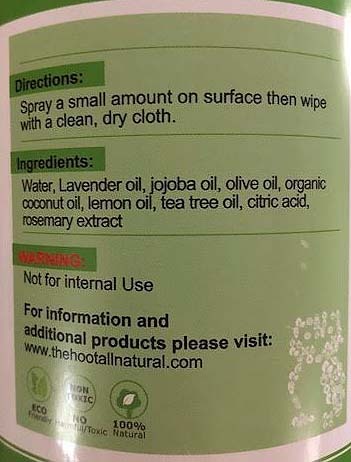 I had heard about The Hoot All-Natural Cleaning Solution through my Facebook feed, and I wanted to check it out. The Virginia-based small company was launched by Tonya Newsome. Throughout her lifetime, she had always spent most of her time cleaning homes, including her own. Over time, however, she would notice that her hands were aging faster than her face, and that she was having many respiratory issues. That led her to start investigating the ingredients behind common household cleaners, most of which turned out to be harmful. Empowered with the newfound information, she set out to make her own safer cleaning solution, which (since 2014) is now known as The Hoot. While you can pretty much clean just about anything with the solution, it does not polish wood…Yet… Did I also mention that they use bottles that are crafted from recycled plastic?! Tonya sent me a bottle to try, and I must say… I’m impressed! It does everything a “normal” cleaner would do. It also smells fantastic! It comes in lavender, lemon, orange, peppermint, and pine. I received the lavender, and boy do I love the way it gives off a calming scent when I’m cleaning the kitchen, floors, bathroom, etc. I also use it to clean the tiles in the shower, where the soap scum builds up. I spray it, let it set in for a minute, and use a good scrubbing sponge, and it’s pretty good at getting most of it off. What’s also great about this product, is that I don’t have to use gloves. I have the reassurance that it’s safe to use around myself, my spouse, and my three cats. “The Hoot ingredients are easy to read. We are affordable, and our product contains no SLS (sodium lauryl sulfate) or SLES (sodium laureth sulfate) like a lot of natural products on the market today. These are both common additives used mainly to produce foam in cleaning products, but are also known skin irritants and cancer-causing agents. 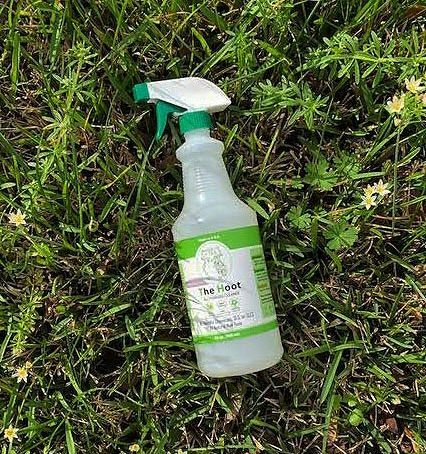 The Hoot All-Natural produces the same (or even better) results without the harmful effects,” Tonya said. You can find/shop The Hoot All-Natural online, in six local health food stores in Virginia (and plan on getting into more), on Facebook, and Instagram. 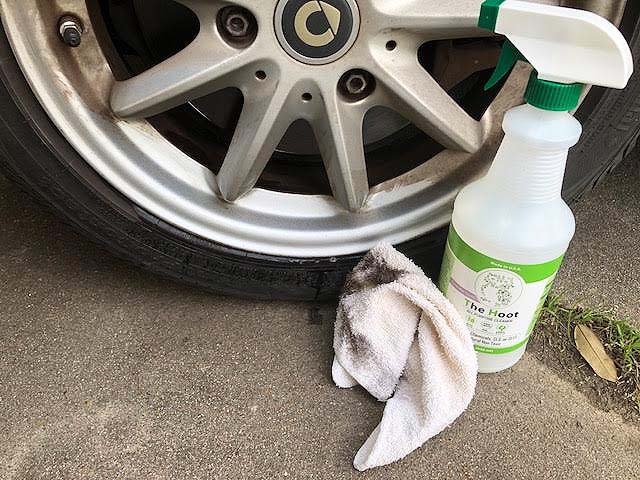 It really does work on car rims!